For some it may be a time in fashion we wish to forget, however love or hate it the 80’s trend is back! Varying 80s styles appeared across catwalks, whether it was shiny ruffles at Balmain or Madonna ‘Like a Prayer’ skirts at Saint Laurent – everyone can rock the 80’s trend. 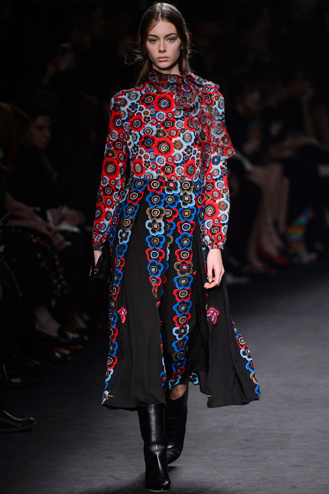 Although stereotypically a summer trend, the Autumn/Winter catwalks were full of vibrant prints. 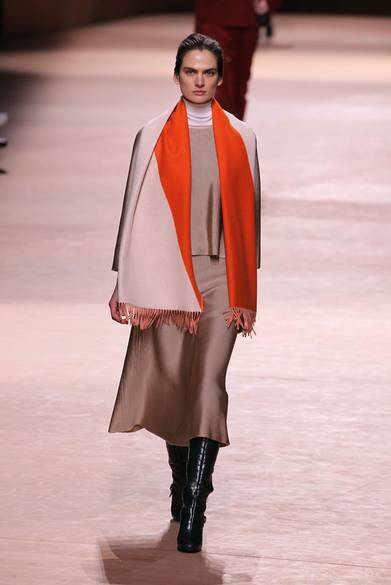 Monochrome and geometric shapes took over Valentino whilst bold zig-zag prints in burnt orange were seen at Christopher Kane. Our tip to wear the trend is to buy a statement piece and wear with a paired down outfit or clash with another print of similar colourways. The winter months always call for a fail-safe wardrobe colour – black. This trend was shown at it’s best with house of Goth – Alexander McQueen. His collection showcased a variety of beautiful lace dresses. 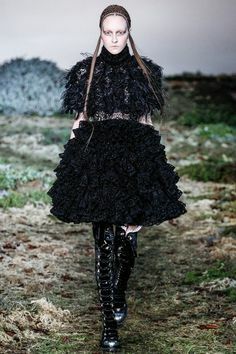 Gothic styles also appeared in the Givenchy and Simone Rocha. Sheer black fabrics, lace and floor length gowns are the key pieces for this trend. If you invested in any 70s or hippie pieces trending this summer keep hold of them as this trend isn’t going anywhere. 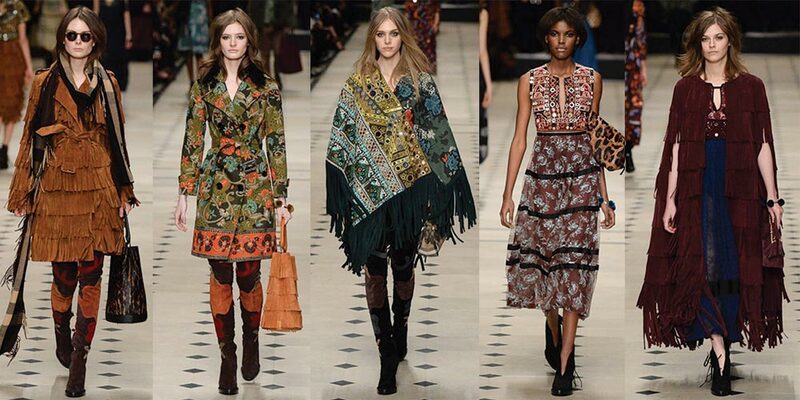 Burberry, Etro and Lanvin all showed distinctly bohemian looks of ponchos, fringing and suede. Layered looks are always key for the Autumn / Winter months, particularly for us Brits and our changeable weather. Take styling tips from Hermes, Phillip Lim and DKNY shows on how to wrap up and layer your look this winter. The Autumn/Winter collections start filtering into our favourite high street stores from this month so forward plan your new season wardrobe. Our new Autumn/Winter styles have also started dropping into stores and online too so you can also think about new season lingerie.